Our Label Services team works alongside a broad range of respected imprints across house, techno, garage and ambient. 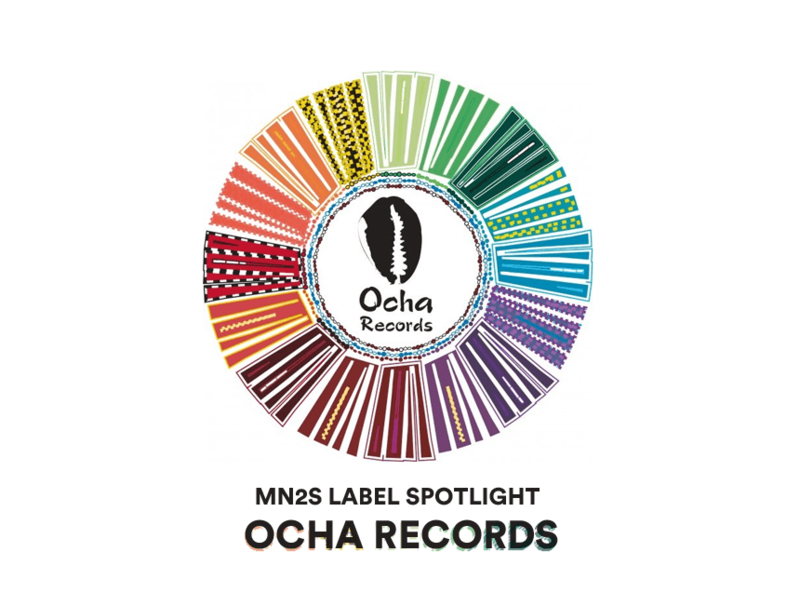 MN2S are partnered with a spectrum of record labels, from the established to the emergent. We provide essential services that help our labels flourish globally: on top of invaluable industry expertise, we assist labels with distribution, rights management, promotion, social media, licensing and design, enabling them to increase revenue while fully realising their creative vision. Our Label Spotlight series is a chance for us to speak to some of the most inspiring imprints that we’re working alongside, getting a crucial insight into the operations of a successful record label. This week, we’ve spoken with Coflo Ferreira of Ocha Records. Formerly a sublabel of Osunlade’s Yoruba Records, Ocha is now a standalone imprint, regularly issuing spiritually-focused house music that seeks to uplift and enlighten. How long has Ocha Records been in operation? Ocha’s first release was in 2007 of Bah Samba’s “Doober” as a remix package by Casamena (Carlos Mena). 2019 marks 12 years of releasing quality tunes. “Ocha” is short for Orisha, meaning spirit or deity in the Yoruba religion of Ifa. Carlos Mena (Ocha Records founder) is a Babalorisha. Carlos felt he needed to release music that captured the essence of these spirits. After a discussion with good friend, Osunlade, he recommended to Carlos that he should absolutely do it. Ocha’s current vision is to push to the corners of creativity within dance music without losing the spirit of why we set out to release music in the first place. With a mixture of ideas flowing in, from the traditional to the futuristic, and not sacrificing what we know feels good in our soul. We want to foster more dance music from the African diaspora but also see our artists take chances and stand out to inspire change in a new direction. We are not about trends, never have been. We have two imprints, Ocha Records and Ocha Mzansi. Mzansi is our dedicated South African label, dedicated to giving a platform to the many talented and passionate artists from all over South Africa. We put the resources into getting their sound and ideas on par with what we feel are the industry standards, so even a brand new artist can be taken seriously next to a veteran. We want to foster more dance music from the African diaspora, but also see our artists take chances and stand out to inspire change in a new direction. We are not about trends, never have been. Doober - Bah Samba (Casamena Living Room Remix). It was special because it was when the idea of creating a sister label to Yoruba Records came to fruition. While Ocha now stands on its own, that release represents the deep bond Carlos Mena and Osunlade created years ago that continues to this day. It also set the tone for the quality that Ocha is known for. The “re-launching” of our label in 2018 was something special. While Ocha never shut down, it certainly slowed down. With new creative ideas, new artists and lofty goals, it feels like Ocha has an endless wind in its sails. Nothing feels better than forward momentum and progress and that is a highlight. The feedback we have received only proves we were missed in our “downtimes” and nothing feels better than knowing the love was never lost. Don’t follow trends. With persistence, originality and quality; over time you will succeed in ways that will be a mix of business and self-fulfillment. Feed your spirit and be true to yourself. Lastly, be respectful to the artist you are working with; which means learn some of the business before you start doing business. Nothing is worse than disrespecting others you are creating/publishing art with. Don’t follow trends. With persistence, originality and quality; over time you will succeed. Feed your spirit and be true to yourself. What lies ahead for Ocha Records in 2019? We have some fantastic songs by a mixture of veterans as well as some brand new creative energies. To name a few of the bigger projects includes a deep tech-driven Yoruba Soul remix of Coflo’s “Stress Relief”. As well as Coflo’s first Ocha EP titled “Playground Samba”. A number of vocal features and originals that have been long awaited from Carlos Mena. We will also have a few big singer-songwriter tunes coming from Lady C, Tiffany Austin and QVLN. More South African heat the guys that are reinventing broken deep house, The Heavy Quarterz and lots more. Our flagship Ocha party “Bembe” will also find itself creating many memorable nights both on the East and West Coasts of the US. Lastly, we may be launching another sub-label in the back half of the year to embark on more creative ideas that deserve their own outlet.